“In 1993 Brandon Teena (born Teena Renae Brandon), a young transgender person living as a man, was raped and murdered in Nebraska when it was discovered that “he” was anatomically a woman. Shu Lea Cheang‘s 1998 work Brandon is a multifaceted web project that uses the nonlinear and participatory nature of the Internet as a means to explore and illuminate Brandon Teena’s tragic story. From the opening image of morphing gender signifiers, Cheang propels the viewer into a probing investigation of human sexuality. It is an inquiry that utilizes hyperlinked images of a disembodied human form, once-live chat rooms on the subject of crime and punishment, and graphic moving images in order to illuminate the wide-reaching effect of Brandon’s life and death…[read more here]” Guggenheim’s website. Click on BRANDON to go to the website. Enjoy the road-trip, take a detour to Theatrum Anatomicum where there’s a case study and virtual trial session related to Brandon. 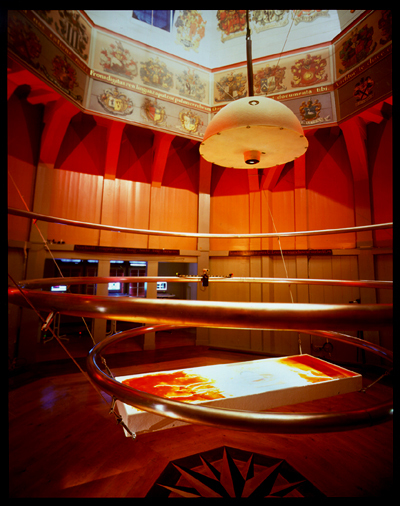 Two events were staged at the Theatrum Anatomicum in The Waag, Amsterdam: ‘DIGI GENDER SOCIAL BODY: Under the knife, Under the spell of anaesthesia’, a performance and installation, and ‘Would the jurors please stand up? Crime and punishment as Net Spectacle’, a netcast round-table. Both events were broadcast on the video wall of the Guggenheim Museum and presented on the World Wide Web. Click on BRANDON to go to the website. BRANDON was commissioned in 1998 by the Solomon R. Guggenheim Museum and produced in association with the Waag Society for Old and New Media, The Institute on the Arts and Civic Dialogue at Harvard Univeristy, and The Banff Centre, with additional funding from The Bohen Foundation, The Rockefeller Foundation, the New York Foundation for the Arts, and the Mondriaan Foundation. “BRANDON is like a puzzle? I guess. It was deliberately designed with no easy/clear marked icons to help you navigate through the site. One’s ability to investigate, negotiate with the mouse(over) brings different experience of the work. Within a one year stretch, which includes installation, live chat format, actual/virtual performance, no one (including myself) can claim to have viewed the entirety of this work. Pop-up windows on the road-trip interface, cells of panopticon interface, are all an expansion of the space, spaces to be occupied by various narratives and inhabitants. Surely, non-linear and non-conformative. Yes, the work was conceived for the web space. However, there remains the necessity at the time to have a real space for public interaction. 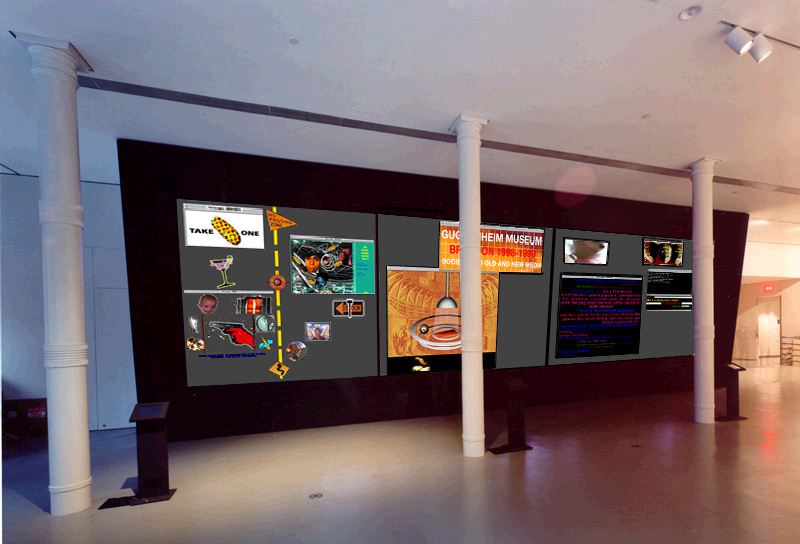 The exhibition at the Guggenheim Soho’s multi-screenwall is a direct translation of the website with…[read more here]. “BRANDON was first conceived as a feature film and developed into a web narrative project. I have approached BRANDON in a film production mode and taken up the time-based video installation concept for the one year duration of BRANDON on the web. BRANDON as a multi-artist, multi-author, multi-institution endeavour is a case of my own desire to ‘hack’ the very institutionalized, structured net scape.” Shu Lea Chang. “As an artist, filmmaker, networker, Cheang constructs networked installations and multi-player performances in participatory impromptu mode. She drafts sci-fi narratives in her film scenario and artwork imagination. She builds social interface with transgressive plots and open network that permits public participation. Engaged in media activism for two decades (the 80s and 90s) in New York city, Cheang concluded her NYC period with the first Guggenheim museum web art commission/collection BRANDON (1998 – 1999). Whilst in NYC, she made two feature films, FRESH KILL (permiered at Berlin Film festival, 1994) and I.K.U. (premiered at Sundance film festival, 2000).